Today was a special day in the Inca calendar: the winter solstice, on which day the morning rays of the sun would perfectly align with temples and streets and windows throughout the empire, intentionally built to coordinate with this astronomical date. Why don’t we construct buildings like that today?! It was also the time of the most important festival of the year, Inti Raymi, the Festival of the Sun. Unfortunately I’ve passed the southern reaches of the Inca empire, so there were no special celebrations where I was, and I spent much of the day on a bus. But I did enjoy the sun warming my skin through the window. 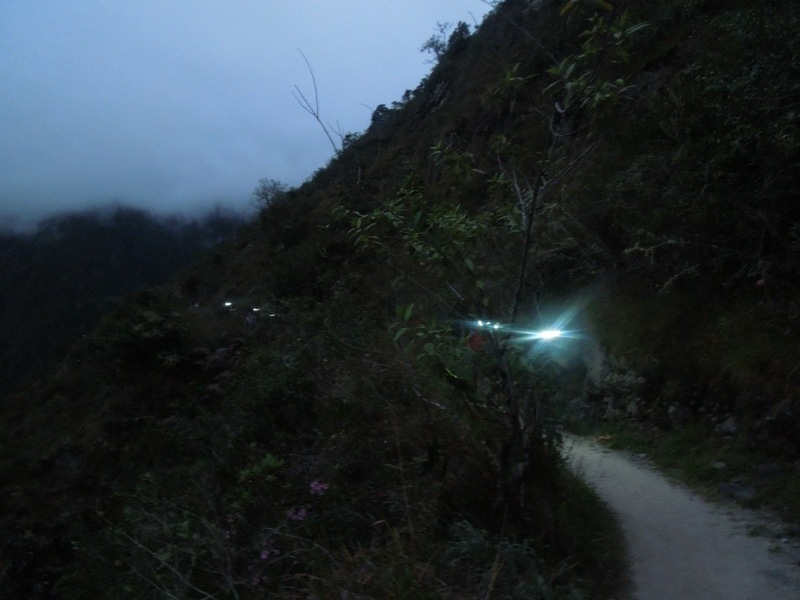 On the fourth and final day of the Inca Trail, we had a 3.30am wake-up call. The porters moved as if someone had pressed fast forward: Coca tea! Water! Breakfast! And the tents were packed up within seconds of us getting out. We said goodbye, as the porters had to run to catch the only local train back to Ollantaytambo – if they missed it, they would have to hike back to the start. The rest of us got our gear together and set off with our headlamps in the dark. Five minutes later we’d arrived at the queue to enter Machu Picchu, and settled down to wait for the entrance to open at 5.30am. It was still dark when movement up ahead indicated that the checkpoint was open, and we filed through to have our tickets checked. 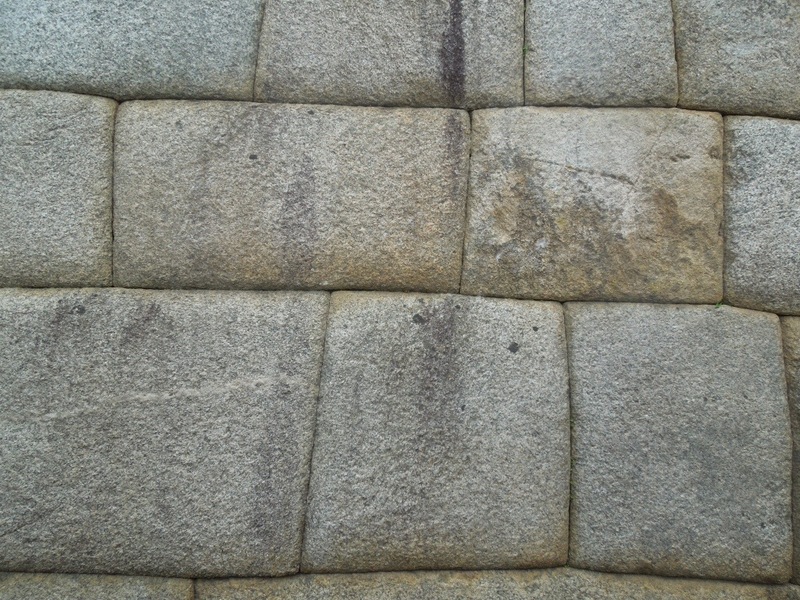 From there, it was another hour to get to the Sun Gate, followed by a 30-minute descent into the site. It was a nice walk, the air pleasantly cool, and I marched on to reach our goal (the group told me later that I had set a tough pace, but we were so close! How could I have gone more slowly?). The only tricky bit was the ‘monkey steps’, so named because gringos have to climb the steep staircase on all fours (I stayed upright, sort of, out of pride). Arriving at the Sun Gate, and finally looking down on the famous site, my eyes welled up, just a little. It’s true what they say: however many times you’ve seen the pictures, it’s still a unique experience when you finally see it with your own eyes. When Hiram Bingham discovered the site in 1911, it would have been swallowed up by the jungle but he still recognised the importance of the ruins. As we continued on, we had different views from different angles until we reached the classic postcard shot of the ruins below the mountain of Wayna Picchu. 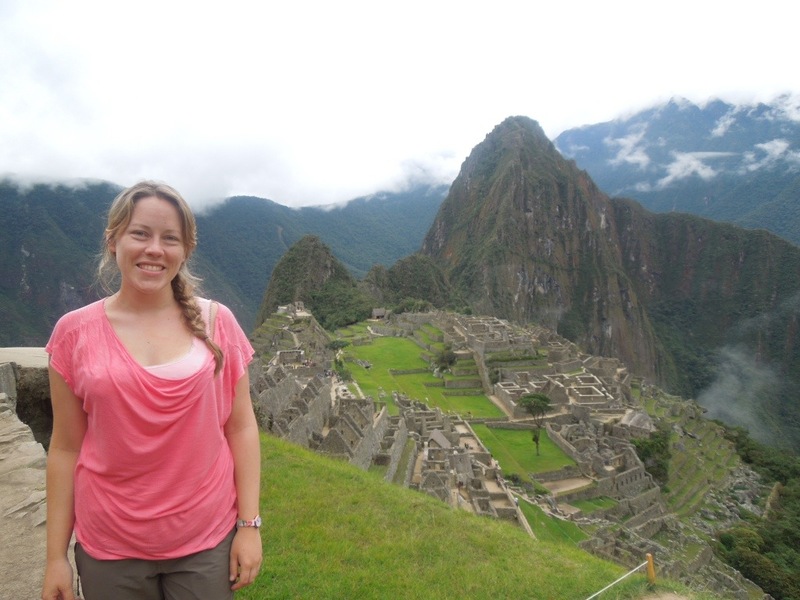 We had arrived at Machu Picchu (pronounced pic-chu – who knew? ), and I had my new Facebook cover photo – which is, of course, the goal of all travel. After descending into the ruins, we had to exit the site only to re-enter without our big backpacks and walking sticks. Within minutes, the ruins were filled with those evil tourists who had taken the train up. You could recognise them a mile away by their jeans, perfume, perfectly styled hair and make up (the women, that is). Bah humbug. 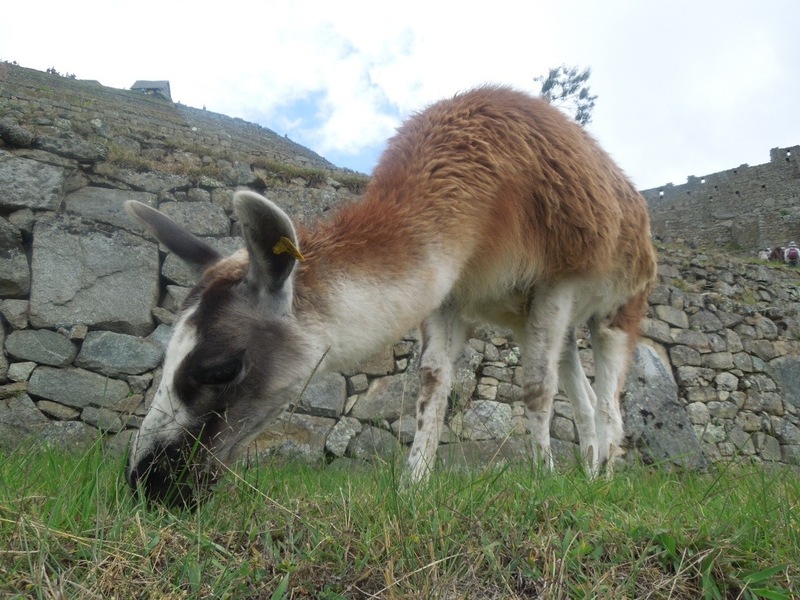 There were also a few lamas, as well as security guards to keep us from climbing on the walls. 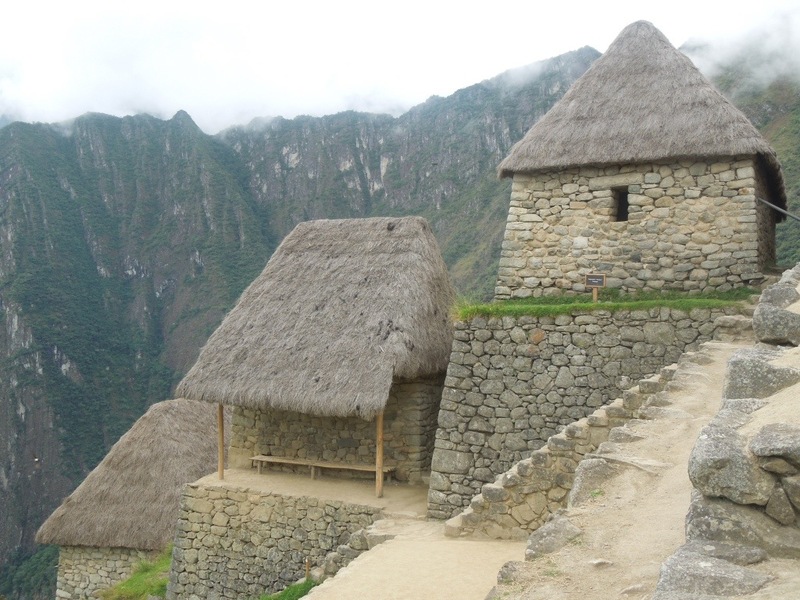 Machu Picchu is a UNESCO World Heritage Site, now thought to have been a country estate of the Inca emperor Pachacuti (1438-72). It was actually known locally, with three families even living there and farming the land when Bingham arrived and then brought it to the attention of the world. 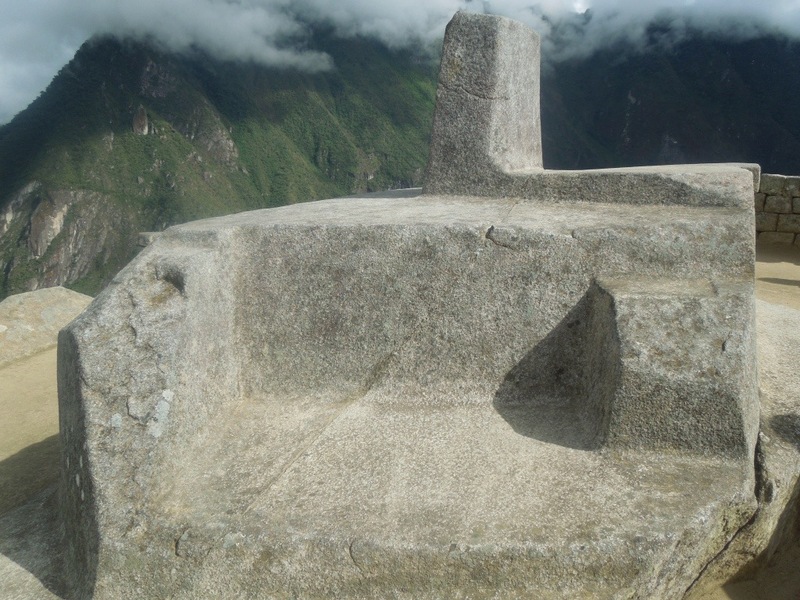 Somehow, the Spanish conquistadors did not reach Machu Picchu, leaving it more intact than the many other sites that were sacked. Its geography is sacred according to Inca beliefs, surrounded as it is by the Río Urubamba, and four important mountains. Unfortunately all the original names of these places have been lost, so the names we use today are contemporary names. The Torreón, or Temple of the Sun, its main window lining up with the first rays of the sun on the winter solstice (now closed to the public, as I have since found out, due to two Spanish tourists graffitiing the inside wall. Haven’t you done enough, España?!). It started to rain just as we were leaving the ruins to take the bus down to Aguas Calientes. Quite fortuitous timing, I’d say. 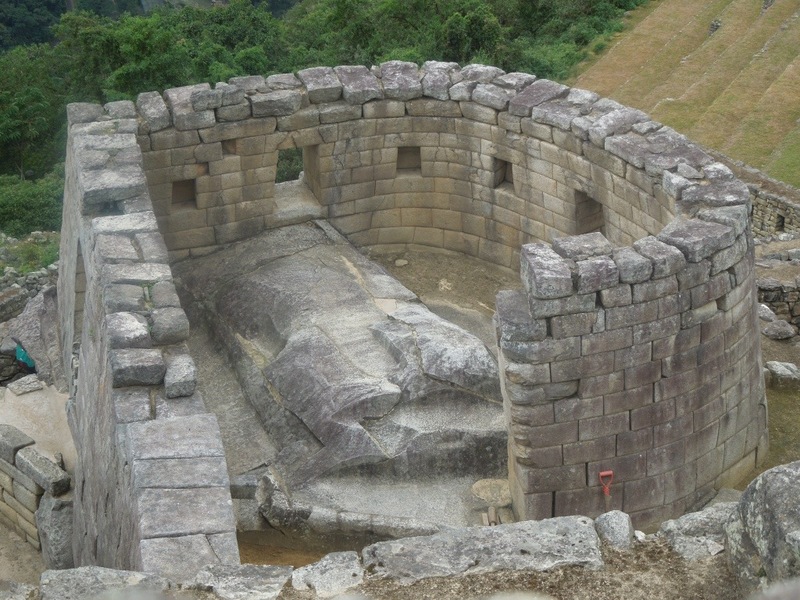 Thank you Inti, sun god of the Incas. 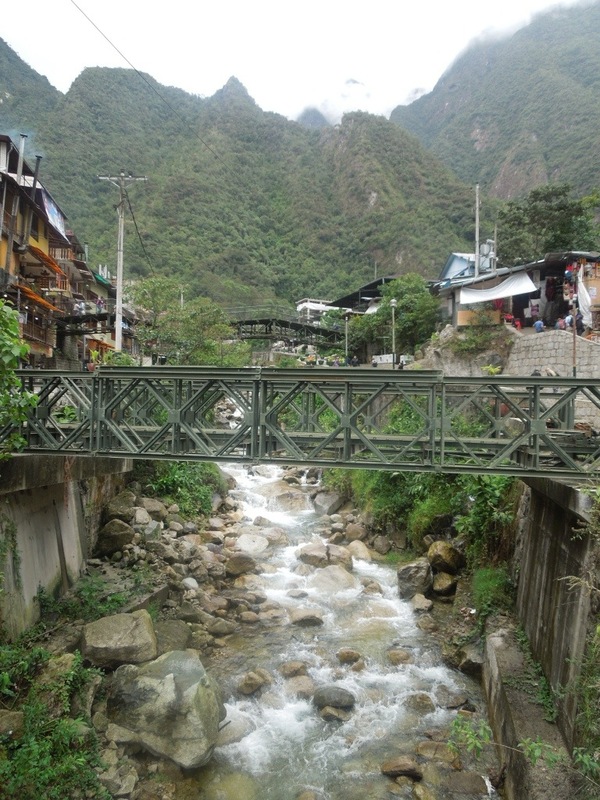 In Aguas Calientes, we had a final group lunch together and celebrated with a pisco sour. I took the Inca Rail train, a train with leather seats and big windows, thankfully without the touristy entertainment they provide on some trains (strange fashion shows and ‘authentic’ music and dancing), back to Ollantaytambo, from where I was picked up and taken back to Cusco. It’s strange when you’ve seen so many pictures of a place and then you’re finally there… for a brief moment, and then you’re gone. Now it seems like a dream. Was I really there? 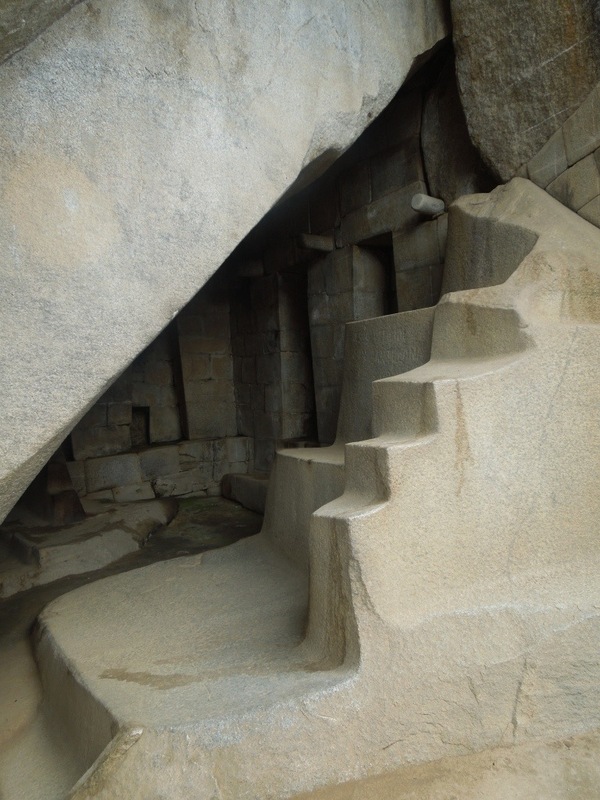 Afterwards, in Cusco, I visited the new Machu Picchu museum and found it surreal to explore a model of the ruins having been there in person just a day or two before. Machu Picchu captured the world’s imagination 100 years ago and has retained its wonder, despite its commercialisation in the past few years. In fact, in 2007, it was voted as one of the seven modern wonders of the world; the other that I’ve visited is the Colosseum in Rome. That still leaves many more to explore: the Great Wall of China, Petra in Jordan, Christ the Redeemer in Rio, Chichen Itza in Mexico, the Taj Mahal, and the Great Pyramid of Giza (yes, there are eight, as Egypt succeeded in tagging on the pyramid, the only surviving original wonder of the ancient world). So lots more travelling to do! 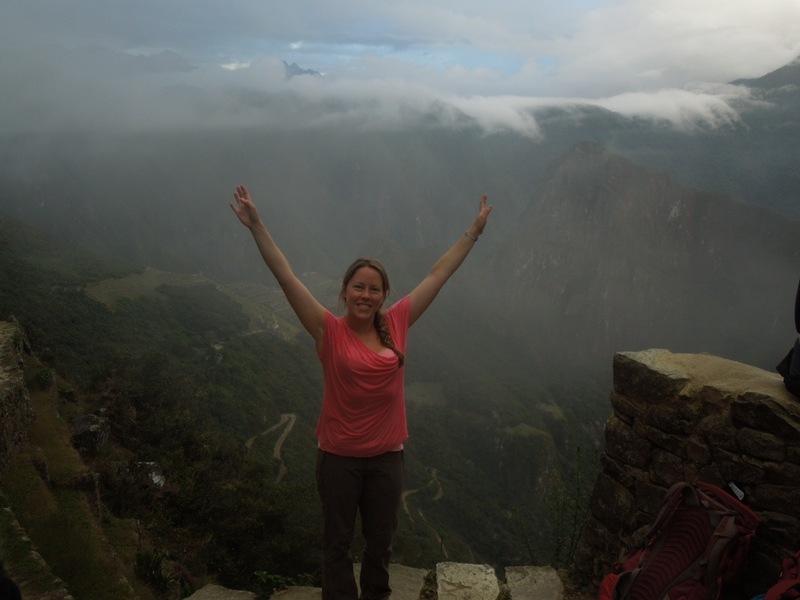 -Lonely Planet says you need to queue up on the day to get one of the limited tickets to climb up Wayna Picchu but this is out of date, you have to book it in advance. Unfortunately there were no tickets left by the time I found this out, but in the end, I was tired after the hike, it had started to rain, and I was pretty happy with what I’d seen of the ruins. 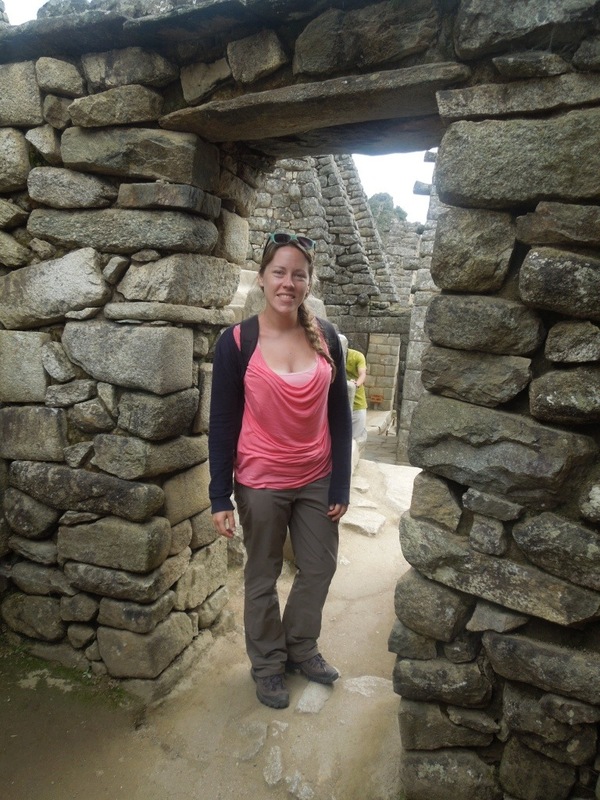 -Make sure to get a Machu Picchu stamp in your passport as you leave via the main entrance! 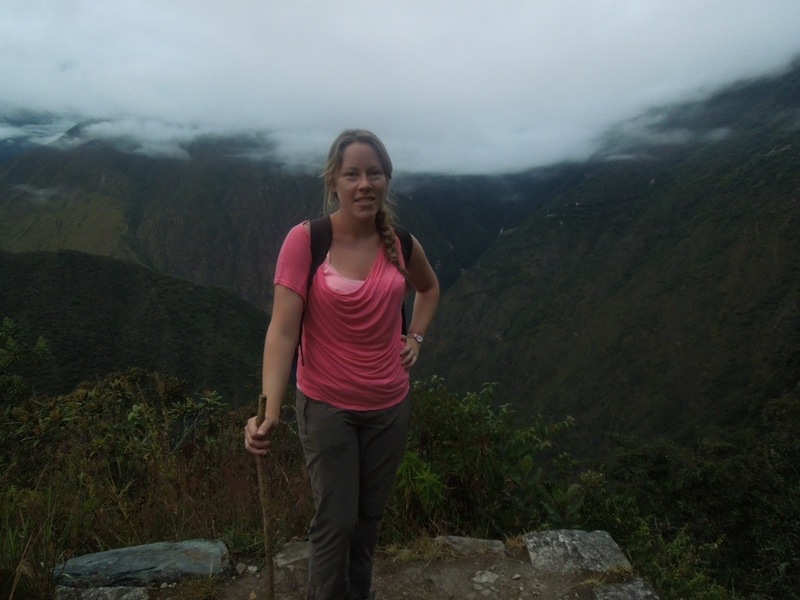 The Inca Trail: Four days and 45km to reach Machu Picchu Machu Picchu: booked! 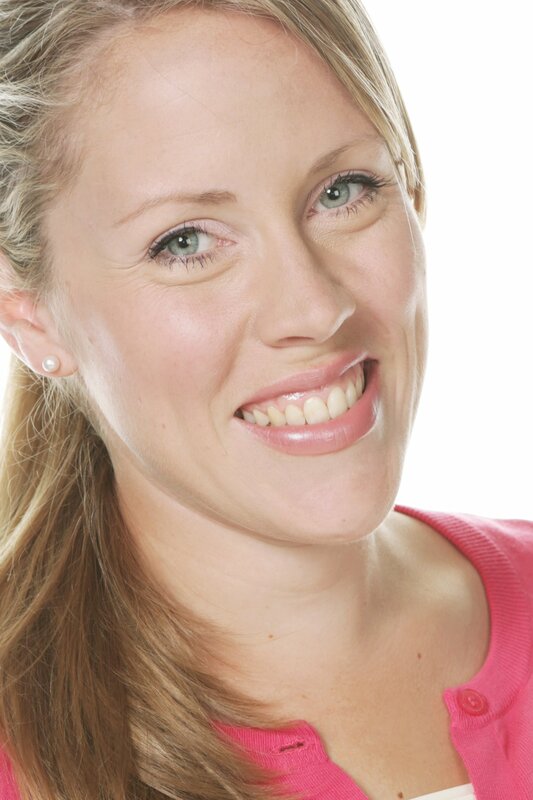 Anna is a business consultant and personal coach working on redefining what success looks like. She's a big believer in the growth and lifelong learning that comes from stepping out of your comfort zone. Great to read about your experiences in a place I would love to visit one day!